Lower Silesian Voivodeship, or Lower Silesia Province (Polish: województwo dolnośląskie [vɔjɛˈvut͡stfɔ dɔlnɔˈɕlɔ̃skʲɛ]), in southwestern Poland, is one of the 16 voivodeships (provinces) into which Poland is divided. Historically the area had ties to German, Polish and Czech culture. Silesia was once divided into many small duchies reigned by dukes and princes of the Piast dynasty. During this time, cultural and ethnic Germanic influence prospered due to immigrants from the German-speaking areas of the mighty Holy Roman Empire. This also impacted on the local architecture as well as traditions and cuisine. Throughout the upcoming centuries, Lower Silesia experienced several key events such as the Protestant Reformation, the Silesian Wars, Industrialisation and eventually both World Wars. Lower Silesia is one of the richest provinces in Poland as it has valuable natural resources such as copper, brown coal and rock materials, which are exploited by the biggest enterprises. Its well developed and varied industries attract both domestic and foreign investors. 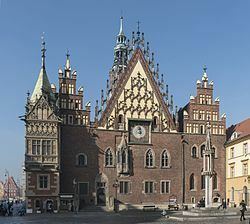 Its capital and largest city is Wrocław, situated on the Odra (Oder) River. It is one of Poland's largest and most dynamic cities with a rapidly growing international profile, and is regarded as one of the most important commercial, educational and tourist sites in the whole country. Furthermore, the voivodeship is famous for its many castles and palaces and is one of Poland's most visited regions by tourists. The voivodeship was created on 1 January 1999 out of the former Wrocław, Legnica, Wałbrzych and Jelenia Góra Voivodeships, following the Polish local government reforms adopted in 1998. It covers an area of 19,946 square kilometres (7,701 sq mi), and as of 2013 has a total population of 2 914 362. Although much of the region is relatively low-lying it also includes Sudeten Foreland and part of the Sudetes mountain range running along the Polish/Czech border. Popular ski resorts in Lower Silesian Voivodeship include Karpacz and Szklarska Poręba in the Karkonosze mountains. Other important tourist destinations in the voivodeship include the chief city, Wrocław, as well as the towns of Jelenia Góra and Legnica. The town of Boleslawiec is famed for its pottery. The voivodeship has the largest number of spa towns in Poland: Cieplice Śląskie-Zdrój, Długopole-Zdrój, Duszniki-Zdrój, Jedlina-Zdrój, Kudowa-Zdrój, Lądek-Zdrój, Polanica-Zdrój, Przerzeczyn-Zdrój, Szczawno-Zdrój, Świeradów-Zdrój. Lower Silesian Voivodeship is bordered by Lubusz Voivodeship to the north-west, Greater Poland Voivodeship to the north-east, Opole Voivodeship to the south-east, the Czech Republic to the south, and Germany (the State of Saxony) to the west. An international airport is located in Wrocław–Copernicus Airport. The main railway station is Wrocław Główny. The A4 motorway, A8 motorway and A18 motorway run through the voivodeship. Lower Silesian Voivodeship is one of the most visited voivodeships in Poland. It is famous for a large number of castles (99) and palaces (hundreds), inter alia: Książ Castle, Czocha Castle, Chojnik Castle, Grodziec castle, Gorzanów Castle, Kliczków Castle. There is also a lot in the Jelenia Góra valley. 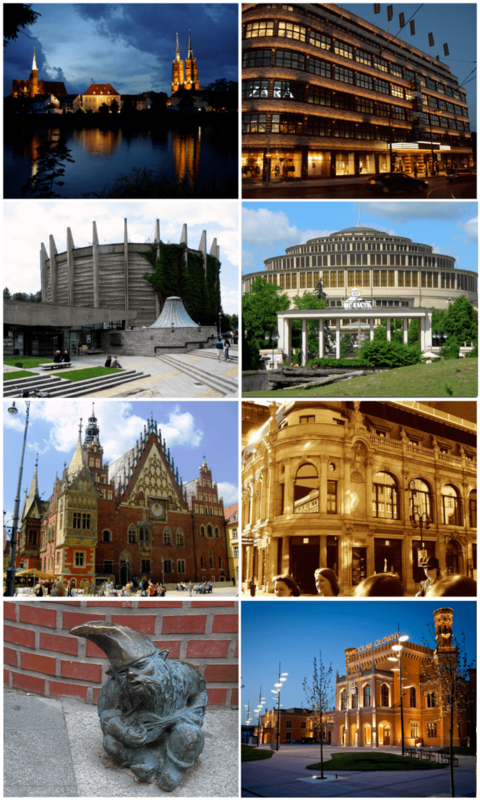 The voivodship's most widely visited city is Wrocław with many sights and attractions, inter alia open all year round Aquapark, Wrocław SPA Center and famous Wrocław's dwarfs. The Festival of Good Beer is held every year, on the second weekend of June. Śnieżka is one of the first European peaks visited by tourists, it is also the highest peak of the Lower Silesian Voivodeship and the whole of the Sudetes. Other highlights include: Kłodzko Fortress, Fort Silberberg, Wambierzyce, Legnickie Pole, Henryków, Lubiąż Abbey, Krzeszów Abbey, Oleśnica Mała, Vang stave church, Churches of Peace, Sokołowsko, Cave Bear, Museum of Gold Mining and Metallurgy in Złoty Stok, Coal Mine in Nowa Ruda, Museum of Industry and Railway in Jaworzyna Śląska, Museum of Papermaking in Duszniki-Zdrój, Skull Chapel in Czermna, Mount Ślęża, Table Mountains, Owl Mountains, Karkonosze, The Main Trail Sudetes, Barycz Valley Landscape Park and connected with the history of World War II - complex tunnels Project Riese, a German Gross-Rosen concentration camp, German War Cemetery and Park Peace in the Nadolice Wielkie. and many areas of Natura 2000 network. Lower Silesia is one of the richest regions in Poland. GDP per capita in 2007 accounted for 108.7% of the average for the country. Since 2005, the voivodeship recorded the highest in the country economic growth rate (around 10% per annum). The southwest part of the Voivodeship is considered part of the so-called Black Triangle, an area of heavily industrialization and environmental damage on the three-way border of Poland, Germany, and the Czech Republic. Lower Silesian Voivodeship is divided into 30 counties (powiats), four of which are city counties. These are further divided into 169 gminas. Boleslawiec, Kamienna Góra, Luban, Lwówek Slaski, Zgorzelec. The counties are listed in the following table (ordering within categories is by decreasing population).